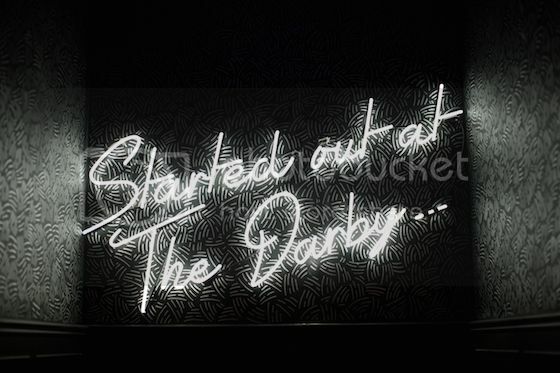 Meatpacking’s Up & Down nightclub has been making waves in the nightlife scene since it open earlier this year. Referred to as ‘a wonderland for people at night’ by the Wall Street Journal, Up & Down has been featured in major media publications like Vogue, The New York Times, New York Magazine, Women’s Wear Daily and Us Weekly. 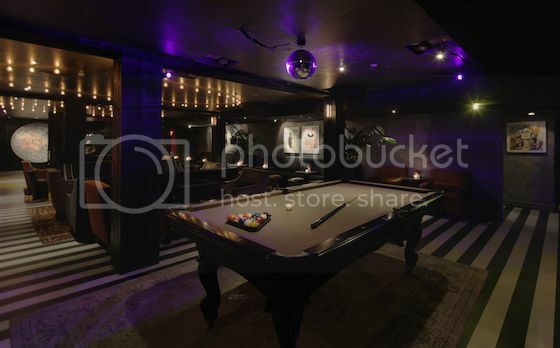 Owned by The Butter Group (Richie Akiva, Scott Sartiano and Ronnie Madra) and taking over the space formerly home to Nell’s and The Darby, the club re-opened during Fashion week and was subsequently host to a slew of high profile parties hosted by the likes of Rag & Bone, Prabal Gurung, Galore Magazine and Jeremy Scott. The club is also host to Beige, the longtime mostly gay party, on Tuesday nights. 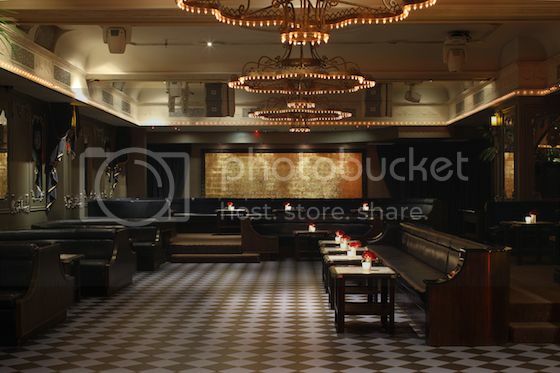 Situated on 14th Street between 7th and 8th Ave, Up & Down takes partygoers back to the days when both the upstairs and downstairs were accessible for partying in most NYC clubs. It is a dramatic change from The Darby, which only allowed guests on the first floor. The 9,000 sq. ft. space (4,500 sq. 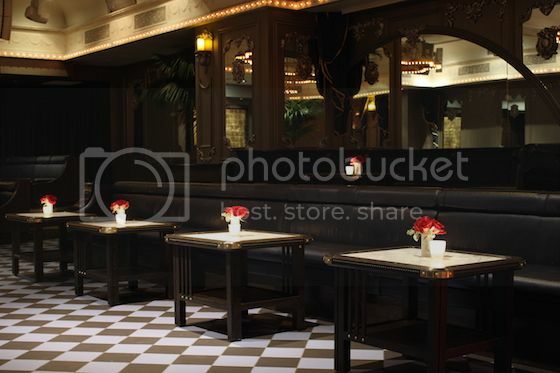 ft. per floor) boasts 17 banquettes upstairs and 14 tables downstairs. Each floor can accommodate 272 guests. The upper level is set up like a more traditional nightclub while the bottom transforms from more of a lounge to a nightclub as the evening progresses. The original Nell’s phone booth adds a nice touch to the venue, and doubles as a portal to a private karaoke room, which is set to transform into different design aesthetics several times throughout the year. Quentin Tarantino and Orlando Bloom are among the many recognizable faces to have enjoyed an evening at Up & Down. 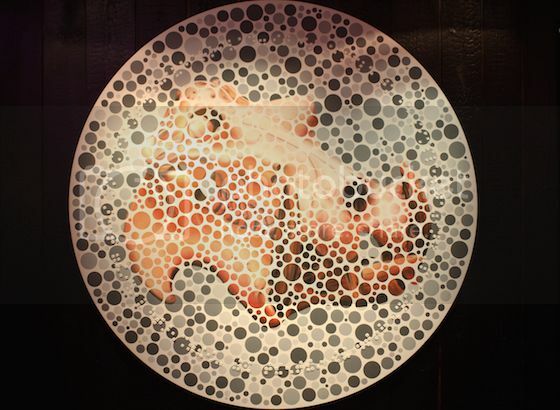 In the few months since its opening, Up & Down has proven to be one of Meatpacking’s most promising new venues. New York's Sheik 'N' Beik is taking over Up & Down this Friday night to celebrate its founder Julio's birthday! Come down and listen to the sounds of Julio as well as Sheik 'N' Beik residents and special guests Pako S, Jeffrey Scott, Holosound, and FoNG. The party is quickly shaping up to be the place to be this weekend. Don't miss out - RSVP to JANDJ@SHEIKNBEIK.COM for admission. We'll see you there! 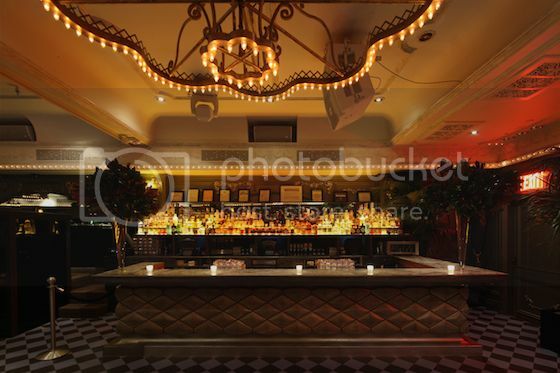 Sheik 'N' Beik is set to invade one of the Meatpacking District's newest venues!